Waking up in the middle of the night and struggling to fall back asleep? 8 reasons why this might be happening. Let’s say you’ve had a nice productive day and it’s time to turn in. You brush your teeth, set the alarm on your coffee machine (best invention ever! ), make a mental checklist of things to do in the morning (hint, mental checklist: not our friend, get it down on paper), and fall asleep. You wake up in the middle of the night feeling restless. You look at the time and do a quick math: only three hours left to sleep. Yet, you are struggling to do so. Maybe you doze off every now and then, maybe you are wide awake – suffice to say you do not feel fresh and rested in the morning. Chronic sleep deprivation is not only mentally exhausting, but can have serious health consequences. 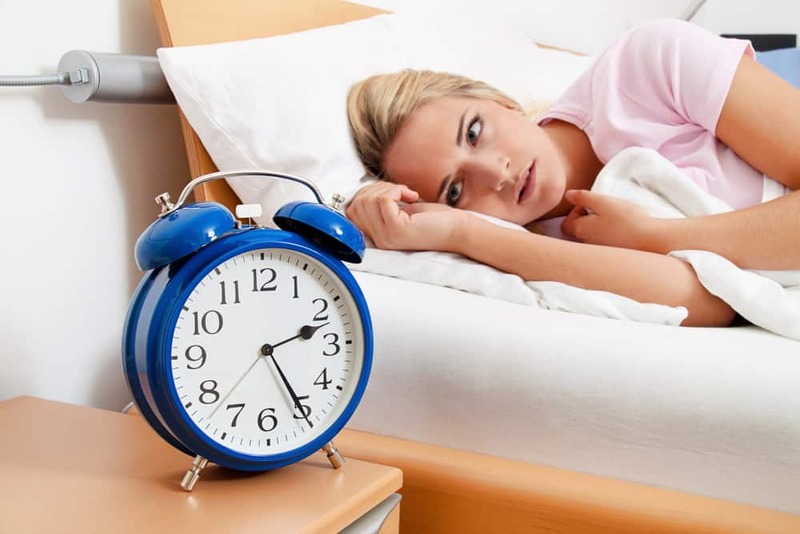 So, today we are going to explore some of the most common reasons why you can't stay asleep. It’s in your gut. Literally. Our guts are a factory of all sorts of bacteria: some are good, some not so much. If your body is strong and healthy, there are typically no disturbances, and your gut goes about its day keeping all the bacteria in perfect harmony. However, if you have food sensitivities, the regular rhythm of your body is not sufficient enough to digest certain foods, leading to inflammation in your gut. There are two consequences to that: One, you may feel bloated, have diarrhea, or get heartburns. All three can easily disturb your sleep. Two, your gut sends distress signals to your brain. These “cries for help” make you feel anxious and restless. Stress. It is a vicious problem: the more stressed you are, the more disturbed your sleep is, and the more sleep-deprived you are, the more agitated you get. In fact, according to the Anxiety and Depression Association of America, “three-fourths of adults whose sleep is affected by stress or anxiety say that their sleep problems have also increased their stress and anxiety.” So, how exactly does stress affect sleep? It primarily has to do with the fact that increased brain activity – caused by anxiety and stress – prevents your body from fully recharging and rebooting. Your sleep remains more superficial, meaning you awaken much easier. The inability to “shut off” your brain then prevents you from going back to sleep. Alcohol. I don’t just mean an evening of partying with your friends. A glass of wine before bed may feel relaxing. It may even help you fall asleep faster. However, it can also easily contribute to a restless night as it blocks your REM sleep – the most restorative phase of sleep. Furthermore, alcohol interferes with your circadian rhythm – a technical term for your biological clock. If you have any breathing issues (sleep apnea), a glass of wine or beer is likely to exaggerate them, once again causing you to wake up in the middle of the night. Finally, your bladder, which is normally in a hibernation mode at night, will not be as cooperative if you consume alcohol, so the need to go to the bathroom will take you right out of your sleep. Your surroundings. 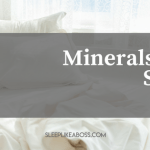 Noise, light, your mattress, electronics – there are a dozen factors in your physical environment that may be messing up your sleep. For example, the ideal bedroom temperature is between 60 and 67 Fahrenheit. When falling asleep your body cools down. If your bedroom is too hot or too cold, your REM sleep can be affected, while you may find yourself waking up numerous times during the night. Similarly, ensure as much noise isolation as possible. Remove any distractions, be it a tablet or a smart phone. Even if your devices are set to a silent mode at night, seeing a blinking light notifying you of an email or a new ‘like’ on Facebook alerts your brain. If your mattress is too hard or too soft, you will keep twisting and turning trying to find a comfortable position. Your bedroom should be your sanctuary, a place where you recharge. Make sure to eliminate anything that’s not conducive of that. Social media. According to research by the University of Pittsburgh School of Medicine, people who spend a significant amount of time on social media report higher level of sleep disturbances and depression. While the study offers a range of hypotheses as to why this is the case, there isn’t yet a definitive explanation. The point remains though: the more frequently you check social media channels and the more time you spend on them, the more likely you are to experience chronic sleep disturbances. Nocturnal Eating Disorder. Do you ever wake up in the middle of the night with a strong urge to eat something, even if you had a big meal before going to bed? You may have a Nocturnal Eating Disorder. Your body and brain can’t seem to calm down until the craving is satisfied. I advise making an appointment with your doctor and getting to the root of the problem as it can lead to a series of problems, including weight gain and diabetes. It’s your partner. 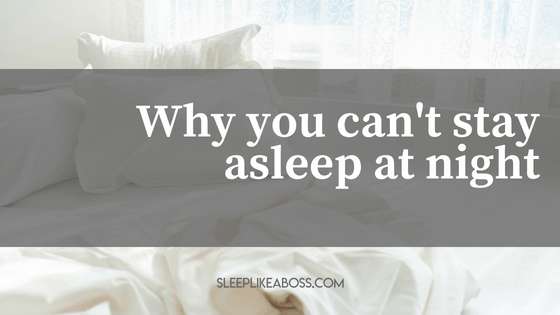 It could easily be the case that you are not the one with a sleeping problem. The person next to you is. Perhaps this person is snoring, waking you up in the middle of the night. Or he/she is twisting and turning, elbowing you in the process. Or goes to the bathroom. Or eats. Or comes to bed late. If your partner has sleep-related issues, they are very likely to affect you as well. Exercise. Many of us believe that exercising before going to sleep is not a good idea. Others think that the opposite is true. Turns out, both theories are correct. It completely depends on the person. Some find it much easier to fall asleep and sleep through the night without any interruptions after a good workout. Since physical exercise increases body temperature, the process of it cooling down post-workout stimulates sleep. However, over-exercising can have the opposite effect. 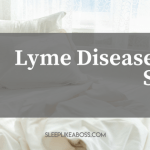 It can cause your tissues to break down and get inflamed, putting your body and brain in healing overdrive, thus interfering with your sleep. A good night’s rest is crucial to leading healthy lives – both physically and emotionally. Consistently waking up in the middle of the night and struggling to fall back asleep takes a toll. So use this list as a starting point to try and figure out what’s causing the problem. Good luck and until next time!